Unirol is a leader for rebar supply. One of the largest steel plants in the kingdom, Unirol has invested $30 million in upgrading the existing facility and transforming it into a new state-of-the art automated mill using the latest technology. 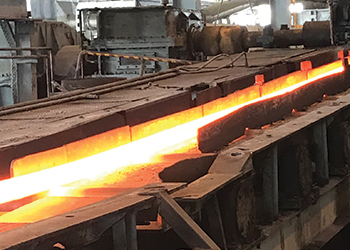 With the upgrade, Unirol has increased its production capacity from 175,000 tonnes per annum to 275,000 tonnes per annum and now seeks to be the first production of high-quality reinforcing steel rods serving the Bahraini market. The company has begun to source its raw materials locally and is now launching officially labelled `Made in Bahrain’ steel bars, said Abu Ghazaleh. “With a total investment of over $30 million till date, Unirol has become a leader for rebar supply in the Bahrain market and a stronger player in the GCC countries. Our focus on quality and customer satisfaction is the key to the success of our organisation,” Abu Ghazaleh added. With the increased capacity, the company now plans to reduce the dependence on imports of steel bars and thereby contribute to the economic and infrastructure development in the kingdom. From procuring its raw material from Bahrain-based Sulb Steel to manufacturing the end product, Unirol’s focus will be on the Bahrain market. “The project is the first of its kind in the Kingdom of Bahrain, and its presence is absolutely necessary to bridge the gap in demand levels in the construction supply chain of local rebar production, significantly reduce dependence on imports,” Al Arrayedh said. “Up to now, we have procured our raw materials from the GCC but after the upgrade, we now have the possibility of procuring raw materials from a local manufacturer in Bahrain, namely our neighbour Sulb Steel,” Abu Ghazaleh said. “Until we started the production, Bahrain was importing around 250,000 tonnes of rebars annually with a value of approximately $150 million. With the increased capacity, Unirol is offering to keep this $150 million within Bahrain’s economy,” he said. “I am proud to say that our factory is working with a zero accident record for the last two years,” he said. “To summarise, I can say that we have renovated and changed almost 50 per cent of our line with new equipment within the last two years as per the latest technology in the steel sector,” Abu Ghazaleh said.